SIX hundred miles off the coast of Ecuador directly on the equator and alone in the Pacific Ocean lies volcanic hotspots with lava clad shores and rugged landscapes with mysterious prehistoric creatures. The enchanted islands of the Galapagos have been drawing people here since Charles Darwin was carried off course nearly 200 years ago on the HMS Beagle, discovering what he claimed to be hell on earth. He mentioned sea dragons slithering onto land, as black as the lava itself, tortoises as big as grown men, and various species of birds that he took heavy interest in, namely mockingbirds and finches. The man undeniably made giant leaps in the name of science, sure. But his description of hell on earth couldn’t be further from the truth. I recently set sail in search of the islands with Quasar Expeditions, the second longest running Galapagos travel company in the business. With over 28 years of experience, it’s an understatement to say these people are experts in the field. A seven-night stay aboard the classic M/Y Grace yacht offers boutique hotel service while being outfitted for true expeditions. The ultimate luxury adventure can be found sailing from island to island in the name of royalty on the same boat where Princess Grace Kelly honeymooned. It’s where we ventured out to natural paradises daily, and where we came to know the real inhabitants of this vibrant earth in the middle of nowhere. To see the Galapagos Islands with Quasar Expeditions while aboard the M/Y Grace is to live like royalty for a week, literally. This 18-passenger iconic yacht has more history than meets the eye. Born in 1928, the yacht has seen varying times, names and owners over the past near century. She did a stint with the Royal Navy during WWII, was once in possession of Greek shipping tycoon Aristotle Onassis, was the honeymoon destination for Prince Rainier and Princess Grace Kelly, and was finally acquired by Quasar in 2007 and rechristened the M/Y Grace: a name that would take her back into her history, her most elegant years. The 145 ft. luxury adventure yacht offers two Master Suites, two Twin Suites and five Premium Staterooms. I’ve been on cruise ships before and have attested to my hatred of cruises previously, but this expedition was no normal cruise. The M/Y Grace only allows 18 passengers onboard, incorporating an intimacy that is unheard of while being a tourist aboard larger vessels found in the Galapagos carrying 100 people. With Quasar, rest assured you’ll be a traveler, not a tourist, as the small numbers also allow for a better passenger-to-guide ratio, bringing everyone a sense of immersion and wealth of knowledge from experts while in the Galapagos. I’m a firm believer that you must be passionate about what you do in order to do it well. The staff aboard the M/Y Grace has first-class service down to an art. Smiles were abundant, help was always near, and the level of professionalism was off the charts. It was very evident that the crew loved their job from sun up to sun down while taking great pride in the boat. But let’s be honest. How could you not love working in this environment? Many staff members were even born and raised in the Galapagos, and I don’t blame them one bit for sticking around. They started at the top, and the only place to go is down after leaving this paradise. One of the most frequently asked questions I receive regarding each destination I visit is, “How was the food?” I love answering this, because, put simply, I love food; therefore I love talking about it. The chef prepared local Ecuadorian cuisine daily, filling my belly full of ceviches, salads, seafood, fruits, vegetables, and different meats. Desserts were plentiful, too, which doesn’t do a body good after a week of indulgence. For the atomic athletes out there, note that a stationary bike lives on the top deck of the yacht, providing your “gym” with arguably the best view on the planet. Now that we’ve gotten past the general experience, the classic vessel, the lovely staff, and the mouth-watering food, we’ve come upon the most important part of the Galapagos journey: the Naturalist. This person is responsible for educating you on the wildlife, the islands and why the Galapagos Islands are so incredibly unique. Sam was our level-3 Naturalist throughout the entire expedition. By day, he took us through a detailed and demanding itinerary full of animal sightings and interactions. By night, he taught us the history behind each upcoming excursion through presentations that I came to value – it was just like biology class! Knowledge is power, and I have a wealth of it on the Galapagos thanks to Sam. The 13 major islands and over 100 islets of the archipelago are home to some of the strangest creatures imaginable. A crossroads of four major ocean currents generate diversity of marine life. Smoldering interiors, barren rock and cactus forests are home to various reptiles, some found nowhere else on earth. To survive, you need to be a monster. Or is it just that you need to be different? So many species of animals and so much traffic makes for trouble, fighting and harmony all at the same time. Life can be harsh, but definitely not hell. There is a sense of awe visitors get while in the Galapagos. When stepping off the dinghy and onto shore, the fantasy of seeing these extraordinary creatures materializes before your eyes. There’s just one thing. Don’t be disappointed when the animals don’t seem as excited to see you as you are to see them. There exists a collective mentality throughout all Galapagos wildlife that basically manifests unresponsiveness. By no means do these animals dislike you, rather they are more interested in the algae they are consuming or mate they are playing with to give you too much attention. I swam with hammerheads, sea turtles, sea lions, penguins and sea lizards. They just kept swimming with a sharp focus of going about their day, and I can respect that. As this tangible expedition turns into intangible memories, these thoughts are all that remain for a lifetime of this life-altering destination. Quasar makes the journey even more memorable by incorporating classic vessels that bring the guests back in time, but the vessels are just a means to an end. The people – the guests and crew alike – their interactions with each other and the animals make the experience so enriching and worthwhile. As you can tell through photos, the Galapagos Islands are a magical place. They gave way to the history of evolution, changing the way people see life on earth. Now it’s our time to return the favor and help sustain the delicate ecosystem of these Islands. What can you do? I’m glad you asked. Purchase a shirt. Quasar has partnered with Free World United, a progressive graphic t-shirt brand that donates a percentage of every sale to worthy causes, to raise funds for the Galapagos Conservancy. For every cause-specific t-shirt you buy, Free World United will donate $10 to the Galapagos Conservancy, in an effort to raise $3,000. 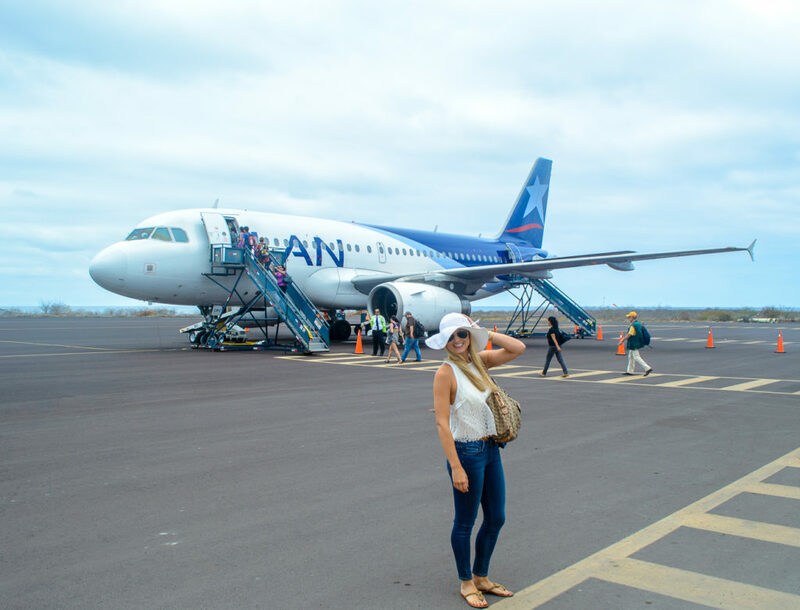 LAN Airlines is offering two tickets to the Galapagos Islands, but HURRY. There are only 6 days left from the published date of this post to enter! Click here for information regarding Quasar Expedition’s 2017-2018 pricing. 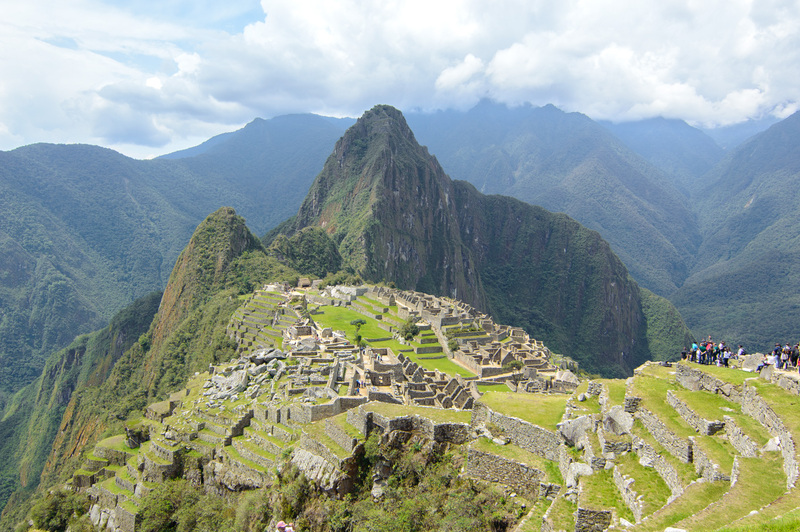 Stay tuned for specific itineraries and animal photos later this week!